Powerlifting is a sport where the individual lifter attempts to lift their maximum weight at three lifts – the squat, the bench press and the dead lift. The Squat Lift begins from a standing position where the bar is braced along the upper back muscles. The lift is started by moving the hips back, bending the knees and hips to lower the torso and weight and then returning to an upright position. The Bench Press Lift begins with the lifter lying on their back with a weight grasped in both hands. They push the weight upwards until their arms are fully extended without allowing the elbows to lock. They then lower the weight to chest level, pause and return the weight back to the starting position. The Deadlift begins with the loaded bar on the ground. The lifter grabs the bar and lifts, pulling it up until their back is straight and their hips are locked. 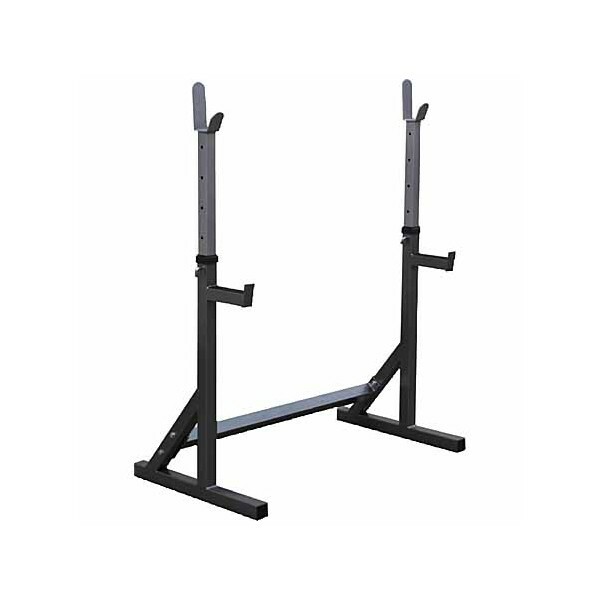 What equipment is used for Powerlifting? 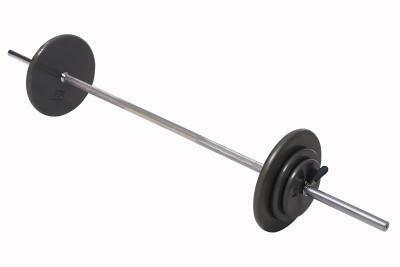 Powerlifting uses a limited amount of equipment. 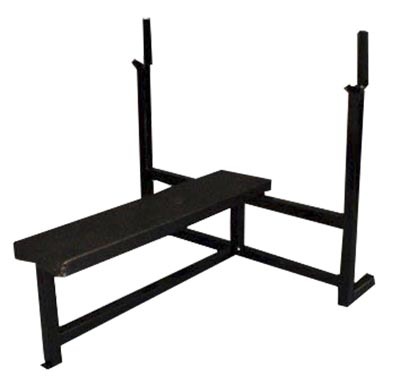 The squat rack, bench and bar are the main pieces. Additionally, lifters wear a singlet, and may wrap their knees and wrists. You may see (EQ) or (RAW) next to the lifters name during a meet. RAW means they will be wearing only a singlet and a belt (for back support). No other equipment is allowed. If their name indicates EQ, they may choose to wear a special suit and have their knees and/or wrists wrapped, but it is not required. River Falls Powerlifting is 100% RAW! What happens during a Powerlifting Meet? Most regional meets open the doors at 7am to allow lifters to weigh in and then grab something to eat. Around 8:45 or so, the rules for the meet will be explained. The meet starts out with each weight group put into a “flight”. Each flight lifts on their same platform throughout the day, and there are multiple platforms lifting at the same time. The first lift of the meet is the Squat. Each lifter will attempt their opening lift weight and if successful, will choose a heavier weight for their second lift. If they are unsuccessful, they must attempt the opening weight again. They lift a second time and again, choose a higher weight for their third lift or stick with the same weight if their 2nd attempt was no good. Once all flights for that platform have completed their Squat, the Squat Racks are moved out and the Benches brought in. As with the Squat, the flights move through their three lifts, adding weight as they can. Once all flights have completed their Bench lifts, the benches are removed and only the bar remains for the Deadlift. Each flight moves through their lifts as before. Each lifter’s highest successful weight from each lift is added together, to come up with their total for the day. Awards are based on weight class for JV/Varsity and male/female. Team points are awarded to the first five places in each weight class, but only up to two from the same school. So even if a team has lifters in 1st, 2nd, 3rd, 4th, and 5th places in a single weight class, only 1st and 2nd places will count toward team points. As a spectator, you will notice three lights will illuminate when the lifter has completed their lift. They must have at least two white lights for the lift to be considered good. If there are two or three red lights, the lift was no good. The lights are determined by the judges. Each platform has three judges – one in front (who also gives the commands) and one on each side. Each judge controls one light to indicate whether the technical specifications they look for were met. If so, a white light is lit. If not, a red light is lit. How does a lifter qualify for the State Meet? A lifter qualifies for the State Meet when their combined successful lift weight during a regional meet reaches the WHSPA qualifying totals. Visit the WHSPA (WI High School Powerlifting Association) site for more info and totals here. How does a lifter qualify for the National Meet? A lifter qualifies for the National Meet when their combined successful lift weight during a sanctioned USAPL competition reaches the USAPL qualifying totals. Those totals are located…..